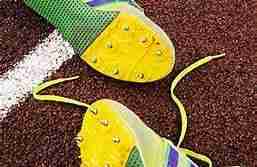 Garner, Iowa – The Forest City Indian girls track team has been clicking in multiple events this year. That continued on Tuesday night as they ran to the team title in Garner. Forest City finished with 163 points, Bishop Garrigan followed in second with 161. Both teams had a huge advantage over third place West Fork, who finished the meet with 121.5. Hannah Good finished 1st in both the 400m and 800m, teammate Anna Lehman followed in second in the same two races. In the 100 Meter Hurdles, (FC) Kelsey Koch nearly beat (GHV) Madeline Hinz to finished 1,2 respectively. Lake Mills finished third in the 4x200m with Forest City taking fourth in that same race. Eagle Grove won the Distance Medley with Forest City finishing second. GHV won the 4x100m shuttle hurdle relay and Rachel Hejik finished 2nd in the shot put.